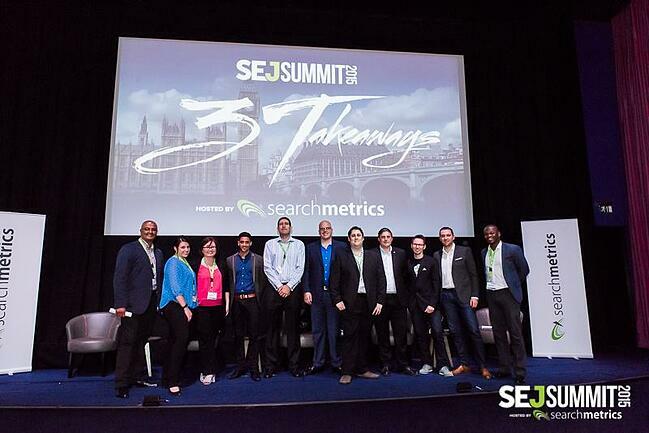 In November last year, Searchmetrics and Search Engine Journal announced that they were teaming up to provide a series of digital marketing conferences across six US cities, with an additional date in London. In my experience, many conferences provide far too much information that it's easy to lose what the important takeaways are. 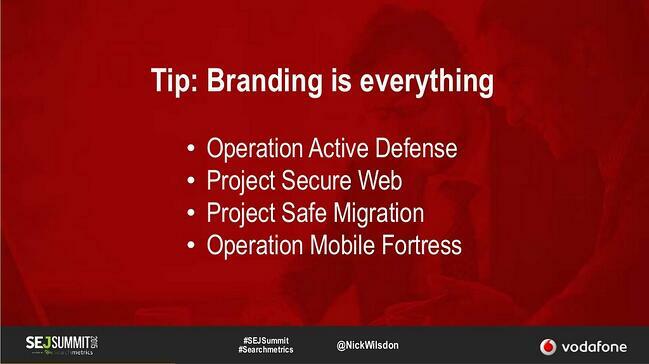 The SEJ Summit tackled this head-on by focusing each presentation on three impactful and actionable points. 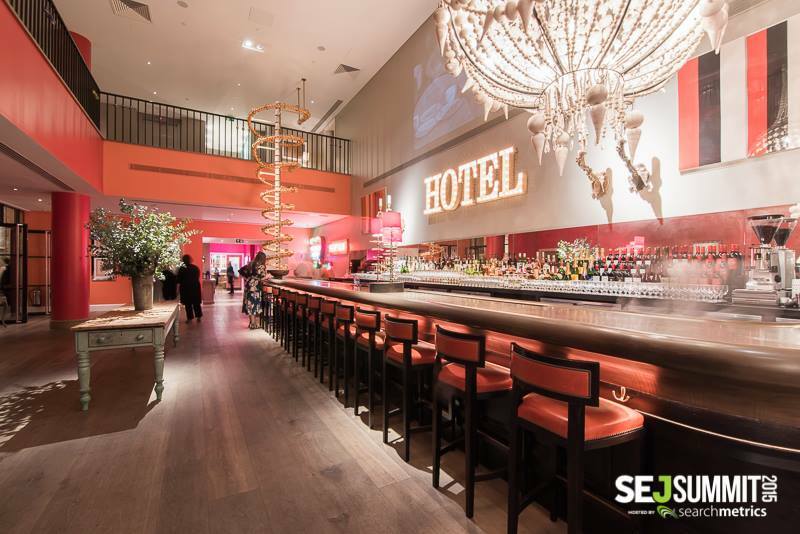 I was lucky enough to attend the London date held on Tuesday (12th May) at the Ham Yard hotel. The event blew me away - through the transparent sharing of information with no sales pitches. 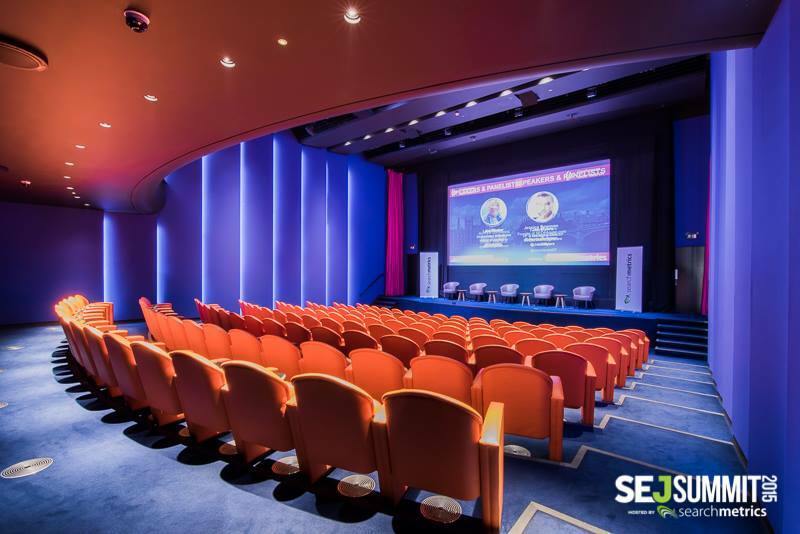 I would like to personally thank both Jenise Henrikson, CEO, of Alphabrandmedia (publisher of Search Engine Journal) and Jessica Cromwell, Director of Sales and Events (Search Engine Journal), for inviting me along. 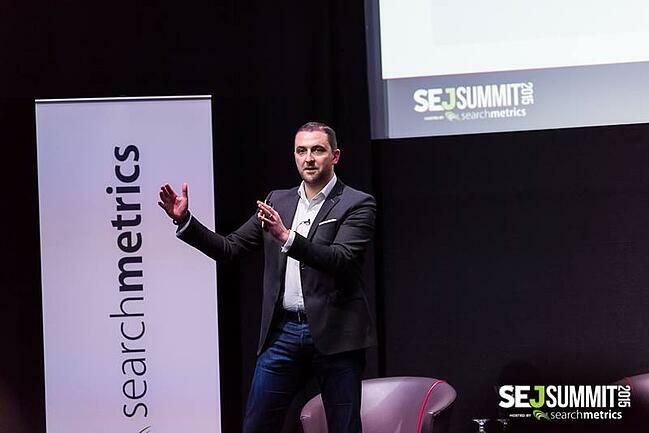 I strongly advise any serious digital marketer to try grab an invite to future evenst held by Searchmetrics and Search Engine Journal. Below I have included a small summary of 3 of the 8 presentations held at the event, and you can see a list of main takeaways from the other five speakers. 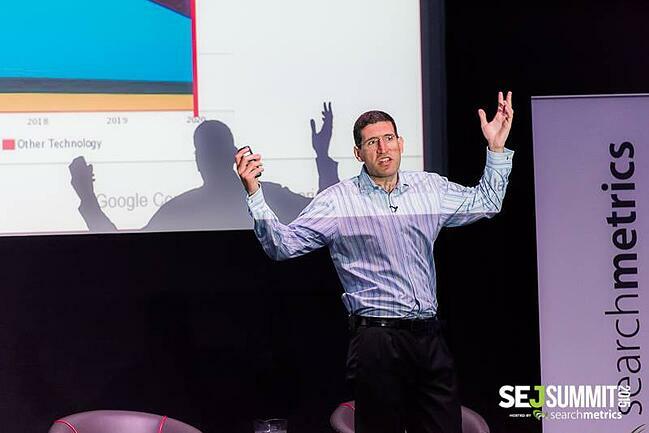 Dave Naylor founded Bronco in 2003, focusing on SEO strategy and technical OnPage SEO. In his time as an expert in digital, he has worked with Saxobank, Coast, 888, Carcraft & Virgin Cruises. Many websites are built to look good for visitors. Frequently SEO failures can be attributed to web designers who are not aware of the consequences of having messy (or unoptimised) code. Broken links and canonical errors can quickly add up - these should be checked and fixed before attempting to further optimise the site. By spotting possible problems and fixing it early you are able to have a solid structure to build your SEO campaigns. Technical optimisation should always be top priority for webmasters. 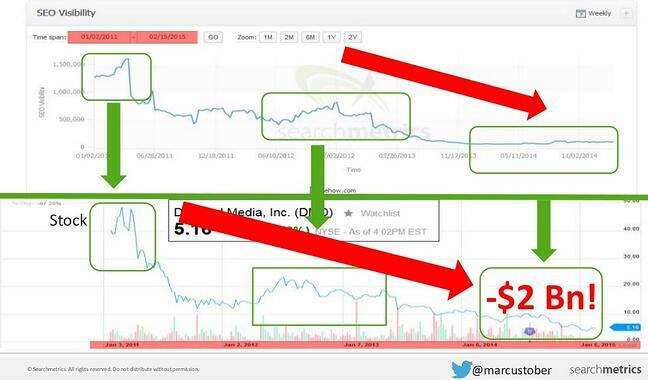 If you see spikes in your crawl stats then this indicates that Google is looking for something. This can be a great thing if you have just fixed a lot of technical issues on the site. But be warned this could also be indicative that the search giant has found something on your site it doesn’t like and is gathering evidence/information before an algorithm update. “Never try to move into a good neighbourhood, if you’re going to bring bad neighbours”. Google have been moving away from ranking sites based on the quantity of backlinks and are now looking at the quality and relevance of these incoming links. For many businesses this means that they may not be aware of how previous SEO techniques are harming their website’s visibility in search engines. Before trying any outreach programme, ensure that you don’t bring these bad links with you. The aim is to no longer think of it as “link-building”, but think of it as PR. Target a single, authoritative news outlet (The Telegraph, Metro, Yahoo!, etc…) and brainstorm different article ideas and don’t rule any ideas out. Think about the demographic of the news outlet and do some research about the journalist you will be pitching the article to. The more information and research you have about the journalist and outlet, the easier it will be for you to write in their style for a suitable demographic. When brainstorming, you should involve people outside of your usual network and involve as many people in the process as possible. It is important to remember that news outlets love surveys and data-driven content. As a digital marketer you have access to loads of this data that many do not know exists. You can even create your own surveys and use your own data to work out what hook you could put to this information. Look for an interesting headline, and remember to make human contact with the journalists before sending them your article. These news outlets are your good neighbours. And just like in real life these good neighbours like each other. If you get coverage in just one publication then you tend to get covered in more. The problem with this additional coverage is that the extra publicity will result in bad neighbours slowly starting to move in and cover your article. As these poor quality websites start writing about your article you start gaining harmful backlinks; this needs to be managed weekly to ensure that scraper sites and other poor quality domains are not adversely affecting your link profile. 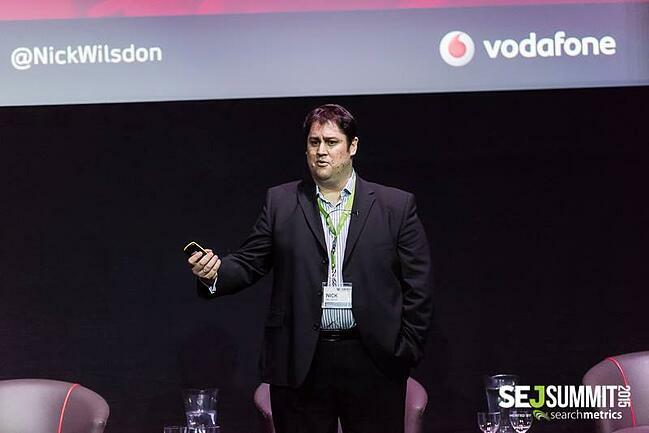 Currently working with Vodafone, across 22 international markets to introduce SEO standardisation and best-practice optimisation; Nick is an experienced speaker, blogger and writer for industry blogs such as The Drum, Reuters and printed publications including The Moscow Times. Over the past 16 years, Nick has worked alongside: Tesco Personal Finance Group, Domino’s Pizza Group Plc., British Gas Plc., Mastercard, Panasonic Group & British Airways. Many search optimisers provide audits for clients that are not inherently useful on their own as they do not accurately reflect the business goals or budget. This makes it difficult for webmasters to take any action as there is no prioritisation and creates additional hurdles when trying to get stakeholders to invest in an online marketing strategy. In larger businesses it is very rare for just one person to be involved in the decision making process so make sure that you are not just sending a simple audit. Instead use evidence to help create a business case that can be linked back to profit. These business cases are very important as it shows the true value and benefit of the work you plan to undertake. By removing any technical language from your business cases you will find it a lot easier for your it to elevate through the company and get approval from stakeholders higher up in command. To compliment your case, you should always use as much evidence as possible to backup your theory (Google Barometer & Google Trends) and relate it directly back to the business goals. Finally, be sure to brand these business cases. As these proposals are sent to more decision makers it becomes important to explain exactly what it is you are trying to accomplish in as few words as possible. By branding your business cases with memorable and informative names you can be sure that anyone reading it can understand what it is you are trying to accomplish, before even starting to read the proposal further. Digital marketers are no longer able to perform successfully on their own. In order to get a great result from your search marketing campaign, you now need to work with multiple teams. By sharing data between these groups in an open and diplomatic way, you can all benefit. Ensuring that all teams (search, UX, paid media, developers, etc…) have access to as much data as possible makes it a lot easier to justify change with your business cases. Search data can heavily influence other marketing channels. Using tools such as Google Trends means you can see current search trends and look for ways to capture this traffic. A great example is the rise of “offer” keyword terms from mid-2011 onwards. If you saw yourself as a large brand during this period, you could be losing a lot of traffic to affiliate coupon sites for branded queries. To counter this, use Google Trend data as evidence in a business case to show just how interest in these queries has grown over time and how important it is to capture this traffic, perhaps with a “current offers” section on your own site. 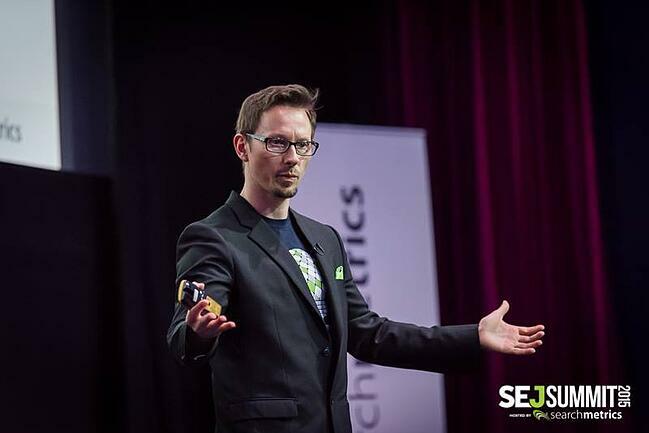 Well known in SEO circles as an innovative thinker, Marcus is the founder of both Searchmetrics and Ecards (one of Germany’s largest online greeting card companies). A self-described Big Data and stats geek, Marcus is frequently asked to comment on trends within the industry and doesn’t mind ruffling some feathers with his opinions. Many webmasters used to create a webpage for each individual keyword that they would like to rank for, a great example of this would be ehow.com who would create thousands upon thousands of pages in order to capture a lot of long-tail traffic. 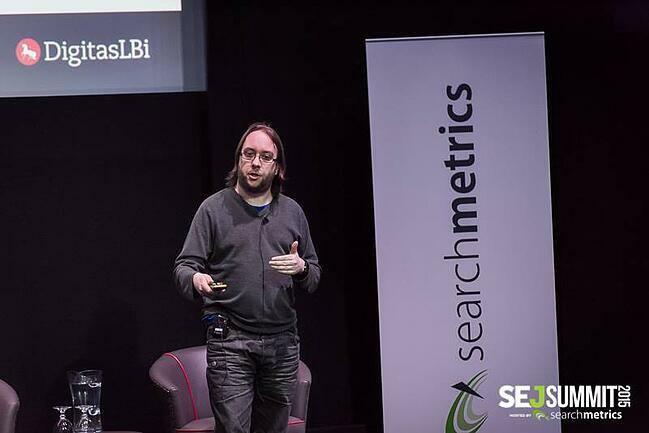 This idea of optimising for keywords is now dead and buried as Google’s search algorithms become more advanced. If your business relies on search traffic, it is very important to remember that your SEO visibility is directly linked to your revenue and, by extension, stock value. As Google moves into machine learning and the algorithms start becoming more intelligent, the user’s search intent is now taken into consideration as Google tries to retrieve the most relevant pages for the user’s queries. If a user is looking for how to boil an egg, Google will be looking to find an informative website that uses terms that a human would expect to see on the page such as: breakfast, boiled, minutes, water, recipes, time, egg. This is a huge departure from traditional SEO where people used to focus on optimising for single phrases or keywords such as “How to boil an egg?”, but wouldn’t mention any breakfast terms or other recipes. Content that answers multiple queries about a singular topic now ranks a lot better than those websites that target a singular keyword. By knowing the consumer’s intent you can be more informative and provide a lot more value to your visitors, thus ranking for a lot more relevant terms than if you were to simply focus on a specific set of keywords. As SEOs, many used to focus very heavily on keyword density and position of the keywords in text and titles. This may not necessarily be the case anymore, as the under construction searchmetrics ranking factors report 2015 indicates. I am not going to share any explicit data here, but it is highly recommended to stop thinking about traditional “content optimisation” and instead think about “technical optimisation”. Technical optimisation helps to create rankings when done correctly with relevant content. Many websites are “optimised” for search engines, but they use plug-ins or checklists that give the impression that if you get all the green lights then your website will rank well. The reality is that everyone is following those guidelines and without the relevant and informative content, you will see that your search visibility will remain low. You can repeat your keyword hundreds of times on your page, but if Google sees no relevance to this topic on your website or elsewhere on the page, then you will find it difficult, if not impossible to rank. If you run an e-commerce site selling sunglasses, you can use the word “sunglasses” on the page, but if you don’t also include terms such as “fashion”, “review”, “price”, “fit” & “polarised” (the words that users would expect to see on the page), then this is quickly picked up by the algorithms as thin or spam content. Andrew is a self-confessed digital marketing geek, blogger and gamer. During working hours he is the Media Innovations Director at DigitasLBi and has worked with businesses such as Virgin, British Airways, Samsung, Barclaycard, Standard Life, Hilton and Cancer Research UK. Kelsey has 7 years of marketing and PR experience, with 11 years experience of journalism and editing. 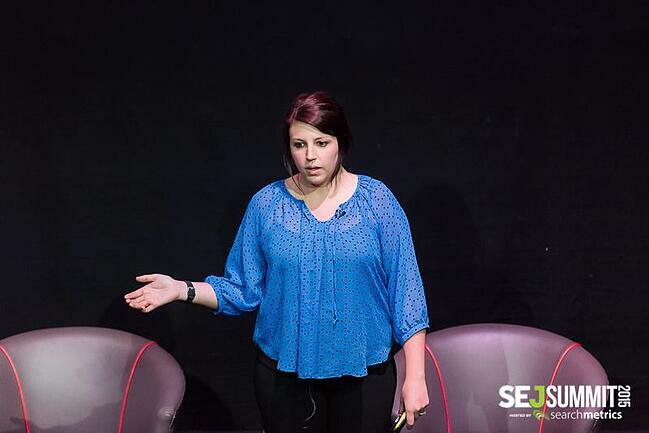 She is now responsible for Search Engine Journal's entire content strategy with the aim of driving traffic and increasing comminity engagement. 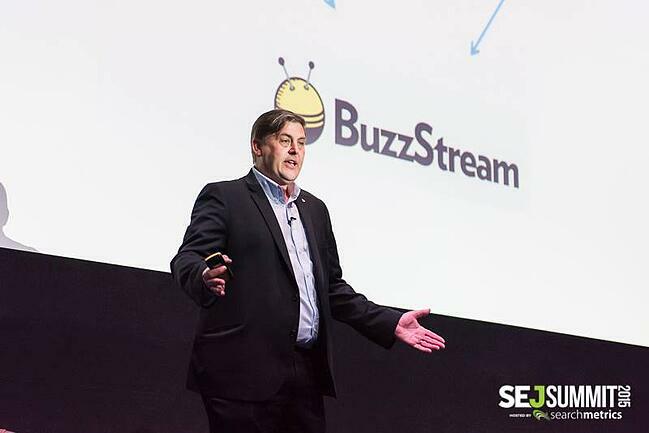 Jim is responsible for delivering high quality traffic via biddable media channels including PPC, Affiliate Marketing, Display Advertising and retagetng to Cheapflights sites across the world. Jim started in digital marketing in 1999 and has since spent over $170 million on marketing campaigns. Jon Myers serves as the Managing Director of EMEA and Vice President at Marin Software. 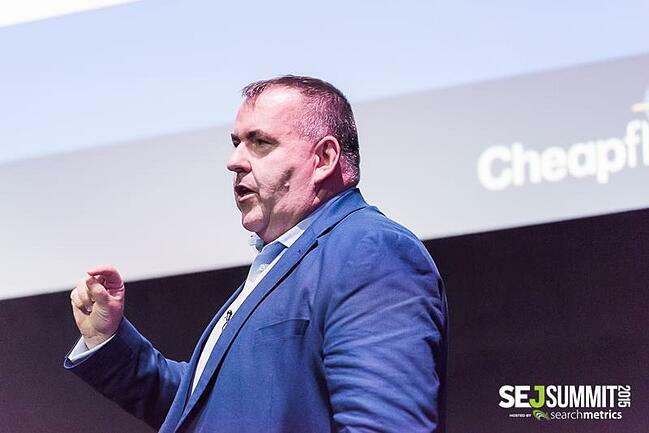 Involved in SEO for years and paid search since it's inception in the UK and Europe, Jon is recognised for his unparalleled experience and knowledge within the industry. Outside of the main takeaways from each presentation, there was a wealth of information and interesting statistics that were shared. Technology is moving forward at a stupid rate. Are you thinking about your smart-watch and TV strategy? 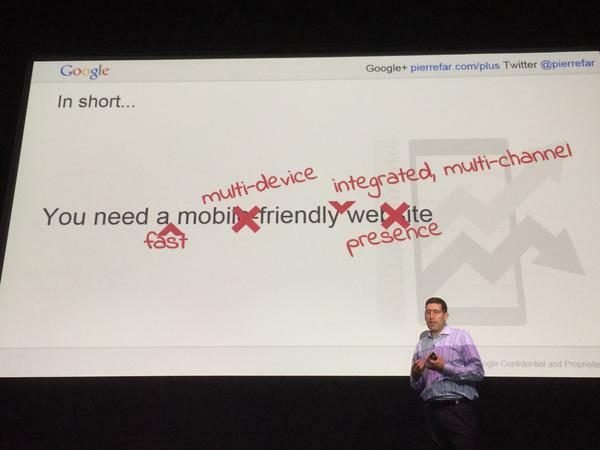 You need a mobile-friendly website fast multi-device integrated, multi-channel presence.